Anyone who has ever used traditional methods of tagging for their studies knows the bane of having inadequate support for their operations. They order their metal tags or RFID microchips. They pay their supplier promptly. Then, they get nothing. No additional documentation to aid their efforts. No guidance on how to use the products. No assistance in the event something goes awry. In other words, they're stuck out in the cold with little help, and minimally functional ID products. Not exactly the ideal scenario for furthering research. RapID Lab takes a different approach. Instead of leaving customers to find their own way, they've got a host of support documents to help clients with various processes. Scanner And Software Documentation. In order to properly set up and use a scanner, there is an entire page dedicated to getting researchers situated. 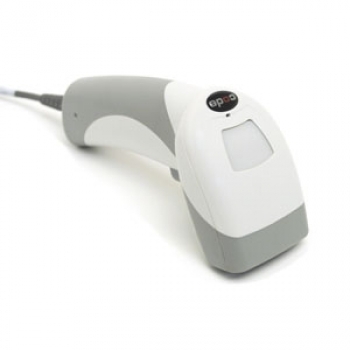 RapID Lab understands that customers may already have a scanner that they are comfortable with using, and allow users to make use of the reader that best suits their needs. For customers that don't have a scanner, they offer compatible scanners that will work well with the technology. Once clients have their preferred scanner, they can use the configuration chart to determine the correct method for programming the scanner. If they have a unique setup, RapID Lab offers information up so that clients can best configure their devices. The page is updated with new configurations whenever they become available, and customers are encouraged to send new configurations that may have been missed to help complete the collection of known setups. RapID Lab is always available for live support and will do anything required to ensure client setup functions exactly the way it is supposed to. Free Data Collection Templates. The ear tag system integrates with all data management software. The Excel formatted template is available free of charge for clients to get started with their scanners and RapID Tags right away. It's as easy as clicking on the setup icon, scanning the animals, then closing the setup window to complete. Whenever someone clicks on "enter data" and begins scanning the automated mouse ear tags, the cursor will automatically go to the next open cell in that animal's row on the chart. RapID Label App. This exclusive online application exists to provide customers with an easy method for generating custom color labels that correspond to the animal's ID for labeling cage cards, samples, etc. This helps clients save time with day to day activities by speeding up the scanning process. Customers will be able to scan cage card labels instead of each individual mouse. Where applicable, this tool will enable labs to label everything related to their animals. Using the suite of tools RapID Lab has provided, clients will be able to maximize the utility they receive from the tag system. It's just another way of staying committed to the continued success of valued customers!